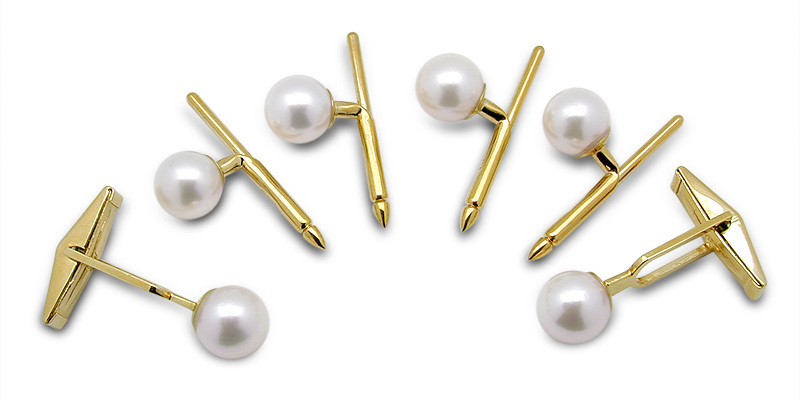 This exotic cuff link set features six white Japanese Akoya cultured pearls set in 14K gold. Four 8mm stud buttons and two 9mm sleeve cuff links complete this impressive set. Other sizes, colors and pricing available.